Ashraf Kagee, winner of the seventh annual European Union Literary Award, evokes the richly-textured beauty of everyday life of the last century's Cape Malay and Indian cultures, and deftly captures the lyrical resonance of voices long forgotten by history. Khalil, 'the Companion', is given his name by The One Above at his birth in 1903. Despite evidence of this divine interest, Khalil's eighty-odd years of life remain fairly ordinary - even though many of these years are spent under the far from ordinary conditions of The System in South Africa. In fact, apart from the high moments - an adolescent trip to India, the fleshly delights on his wedding night, and a memorable evening spent with the Black Pimpernel at an abortive meeting organised by the New Unity Movement - Khalil's later life is mostly taken up with trying to keep his wife and children happy and fed, first as the owner of a general dealer in Woodstock, Cape Town, and later as a less-than-convinced lackey in a wheeler-dealer consortium selling polonies and saffron. 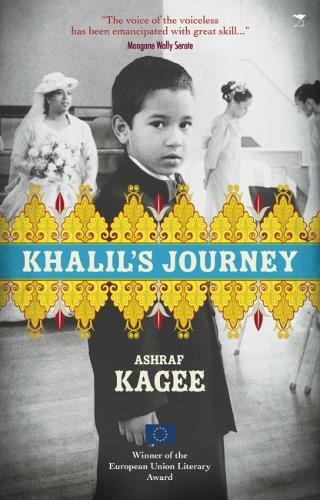 Nevertheless, just as Khalil's birth was a matter offering material for considerable discussion for the doekie-wearing aunties of the neighbourhood, at the end of his life Khalil finds there is more than enough to chew over in his life's journey.